The Summer Performance Group Program focuses on a group of teens selected through an audition process. 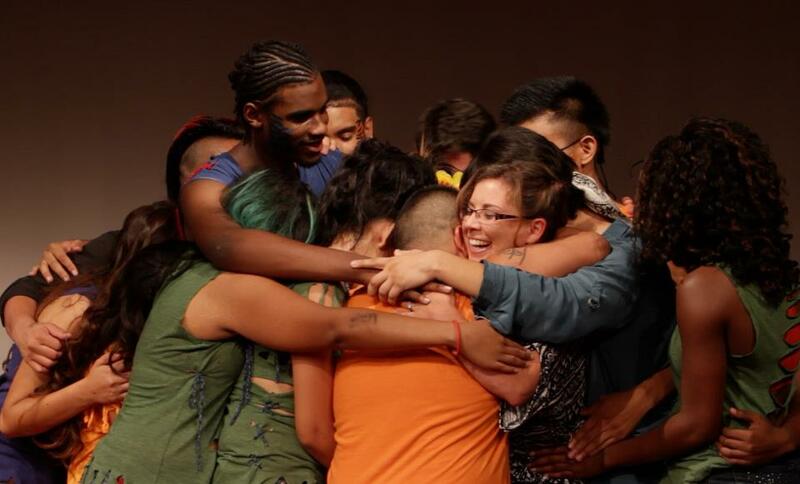 Once selected, teens go through intensive dance and leadership training throughout the summer months with the ultimate goal of creating an original performance that showcase their artistic talent through themes that highlight complex social issues facing their communities. transcenDANCE’s unique dancer training process inspires positive personal growth within the context of an intimate, supportive, and cross-cultural peer network. Approximately twenty youth are selected each summer to work alongside a team of artistic staff and graduate choreographer/mentors to spend the summer exploring a theme through dance. Together, the students stories, ideas, and perspectives on the theme are brought to life in a culminating dance theatre performance on a professional stage. The performance group continues to meet throughout the school year through dedicated weekly dance classes, performance opportunities, master classes, and arts outings.